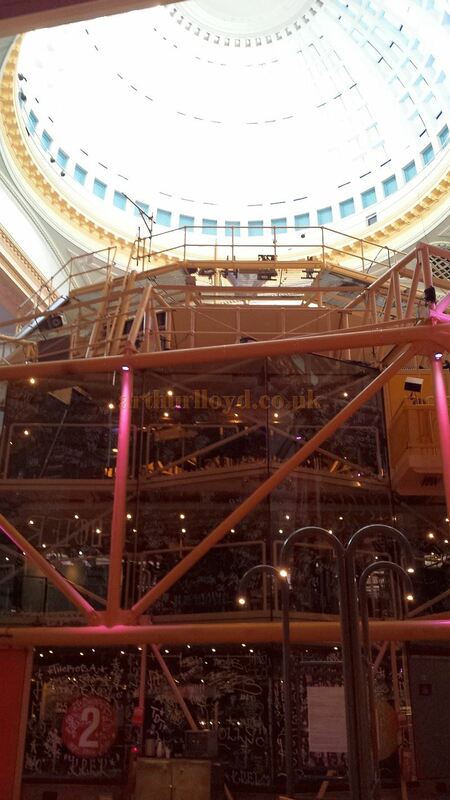 Above - The Royal Exchange Theatre, Manchester in April 2015 - Photo M.L. 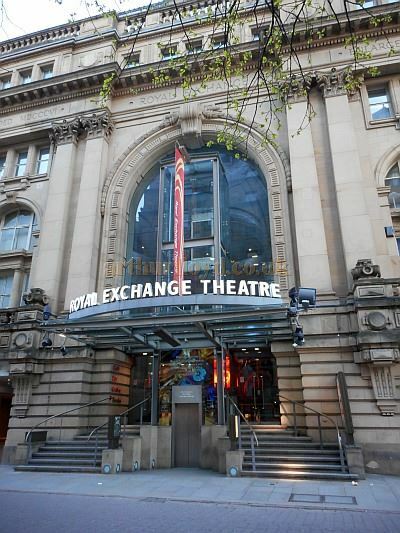 The Grade II Listed Royal Exchange was originally built as the Cotton Exchange in 1874, designed by Mills and Murgatroyed. The building was extended rearwards in 1922, doubling its size. The building was bombed in World War II and although restored the exterior was rebuilt on more simple lines. In June 1996 an IRA bomb did considerable damage to the Cotton Exchange which was actually shifted several inches on its foundations by the force of the explosion. 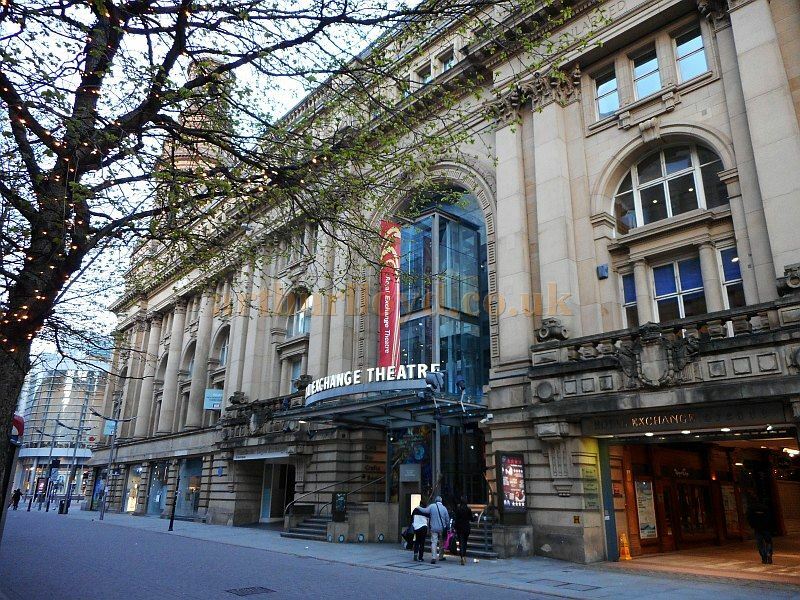 Remarkably, although the building was declared unsafe the Theatre, which was built on shock absorbers, survived intact. 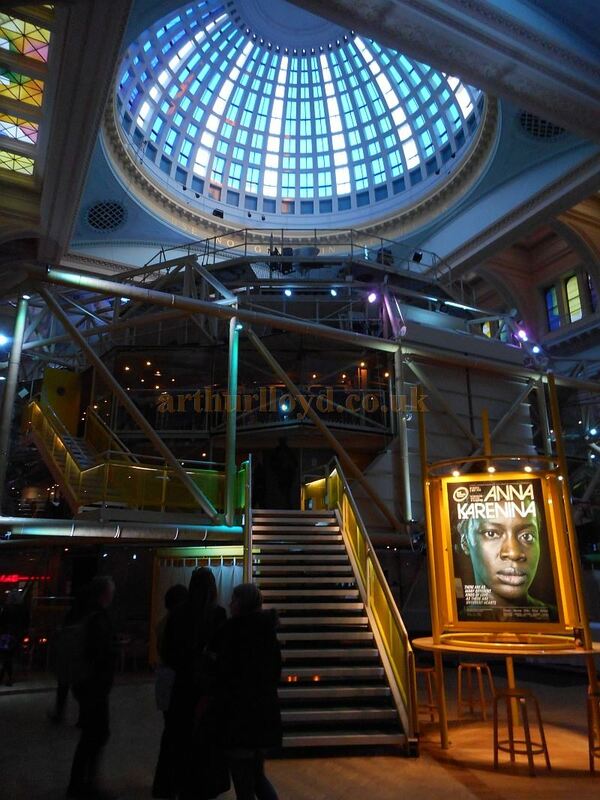 Right - The Royal Exchange Theatre, Manchester in April 2015 - Photo M.L. 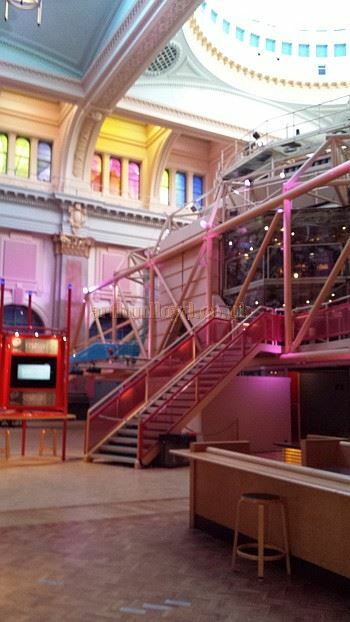 A Lottery grant of £14m was obtained in the same year and the building was reconstructed. Into the bargain a new small Studio Theatre was added with a capacity of 120. 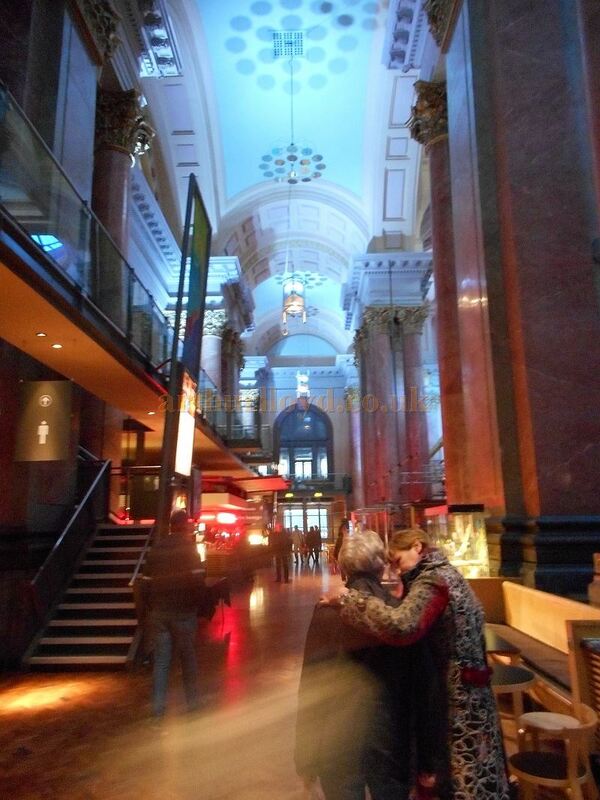 The Studio Theatre has its own foyer and bar. 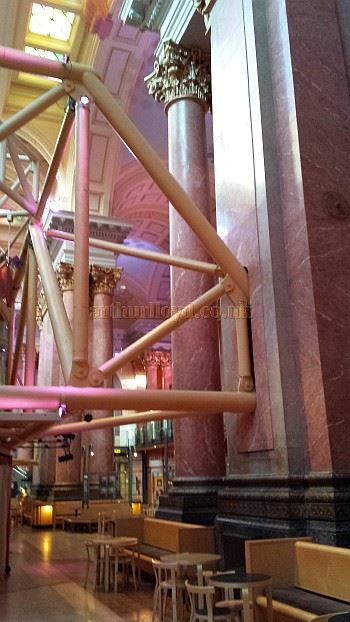 Some internal photographs of the Theatre can be seen below. 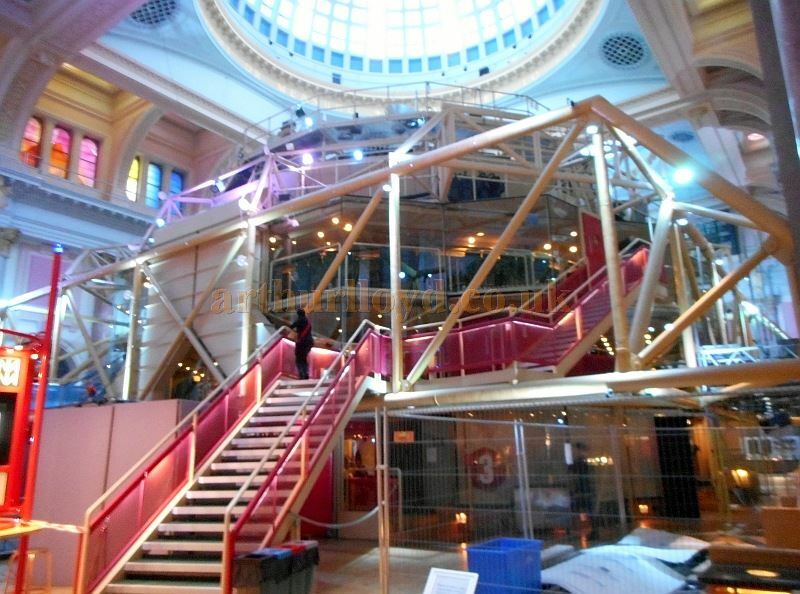 Above - A Competition Design for the Royal Exchange, Manchester, Messrs Hennicke & Von Der Hude, Architects. 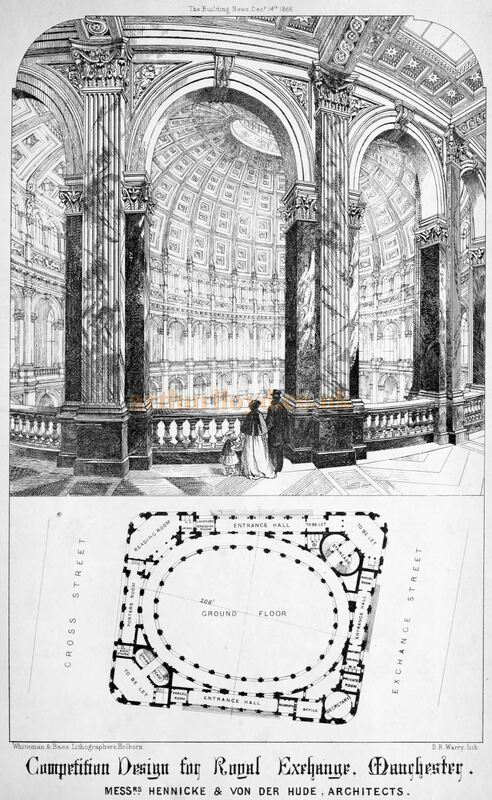 This was not the final design however as that was created by the architects Mills and Murgatroyed in 1874 - From 'Building Illustrations Private Houses, Public Buildings and Warehouses' A collection of illustrations assembled chiefly from the Architect, the Buildings news and the Builder, published in various issues between ca. 1862- 1872. 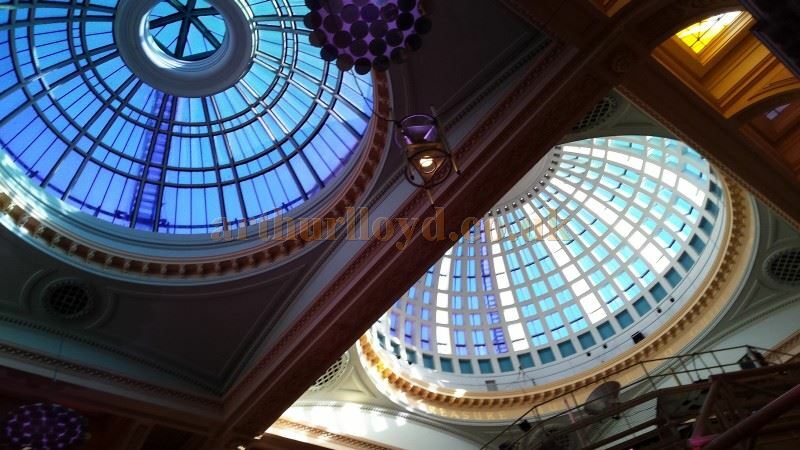 Above - The Interior of the Royal Exchange, Manchester in April 2015 - Photo M.L.